This is a real book with an explanation of technique and practice it exactly tells about PROCESS and ESSENCE —no sham—a combination which many authors don't delve into deeply. There are very few books which provide answers to why, and this book explains what people dont even think about, and in classical guitar playing it matters a lot. The author has collected precise information and presented in a lucid way, though there are no images (except two portraits of great guitarists: Fernando Sor and Dionisio Aguado) but the author has explained in exact and precise words so that you may try the words with the effective practice section in real time playing. A man with no technical boundries, angelic composing abilities, simply breathtaking! This album tells a terrific tale, and is full of imagination. From start to finish, Mr. Berg is able to touch on every human emotion. It is a wonderful contribution to the ever-growing guitar literature. Beautiful melodies and vibrant energy! I find the melodies from this CD in my head throughout the day. Christoper's sound is beautiful and his expansive dynamic range, from lush and delicate to bold and powerful is very impressive and serves the music well. This is a refreshing and wonderful CD. Inspiring Instrumental Music! I have the good fortune of hearing Christopher Berg play live one or two times a year. He is an absolutely magnificent guitarist and composer, and I am so pleased to finally have a recording to listen to as often as I like, which is often. Orders from U.S. customers will be shipped at the United States Postal Service (USPS) media rate. Orders from Alaska, Hawaii, and U.S. Territories will be shipped USPS Priority Mail Express. International orders will be shipped USPS First Class Package International. Whenever possible, items will be shipped at the fastest delivery method that falls within the shipping charge. Orders are shipped within 24 hours of receipt (one business day). Shipping charges will be shown at checkout after you leave the OrpheusOnFire cart. Use the direct order method if you can pick up your order in person in Columbia, SC, wish to inquire about a bulk order, or need a special shipping quote. Use the contact form if you can pick up your order in person in Columbia, SC, wish to inquire about a bulk order, or need a special shipping quote. Read more about The Classical Guitar Companion at www.classicalguitarcompanion.com. Sample pages can be downloaded here. 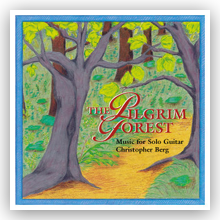 You can hear excerpts from The Pilgrim Forest on Christopher Berg’s Recordings page, or complete pieces on SoundCloud. This new book by Christopher Berg is over 200 pages long and features more than 200 examples, etudes, and pieces organized to help serious guitar students better navigate the shoals of becoming well-trained and expressive artists. Rather than try to shepherd each student down the same path, the book allows students to approach their training within a flexible and personal curriculum based upon their weaknesses and strengths. 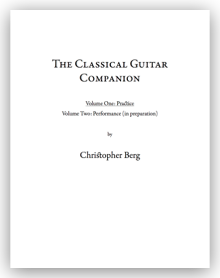 There are no current plans to make The Classical Guitar Companion, Volume One: Practice available as an eBook. 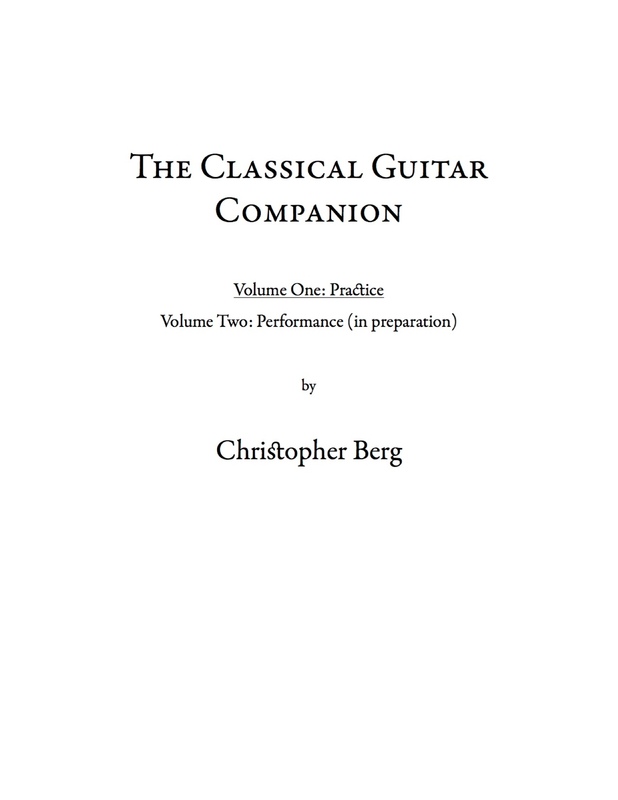 Volume Two of The Classical Guitar Companion deals with performance and should be available sometime in 2014 -2015. Spiral-bound, letter-size, paper, 1.2 pounds. A recording of music for solo guitar, written and performed by Christopher Berg. 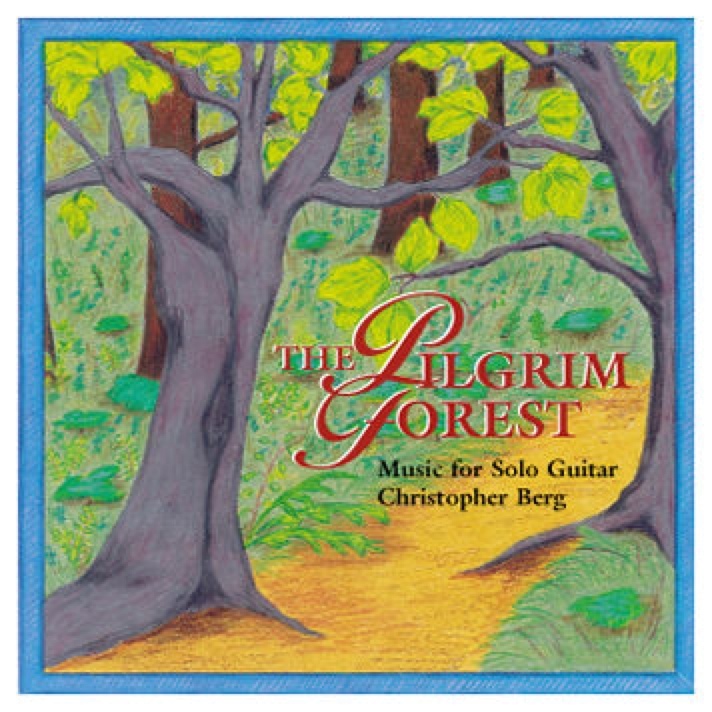 The Pilgrim Forest is a musical novel which comprises ten original pieces for solo guitar by Christopher Berg. While each piece is complete by itself, the entire hour of music can also be heard as a unified work, a tale of discovery in a metaphorical and musical forest. The Guitar Foundation of America's Soundboard wrote, "Berg's performance is beautiful. His sound, his sense of progression, and level of artistic intensity are compelling…." Scores of the music from The Pilgrim Forest will be available for purchase in 2014. Thank you for visiting the OrpheusOnFire Store!